But Dryden’s pro debut wasn’t the reason the game made the front page of The Globe and Mail the following Monday. The story there, just below the portrait of Queen Elizabeth II (ten years on the throne) and the latest on the crisis in Algeria, was the bomb that someone threw from the stands at the Leafs’ bench while the band was playing “God Save The Queen” before the opening face-off. 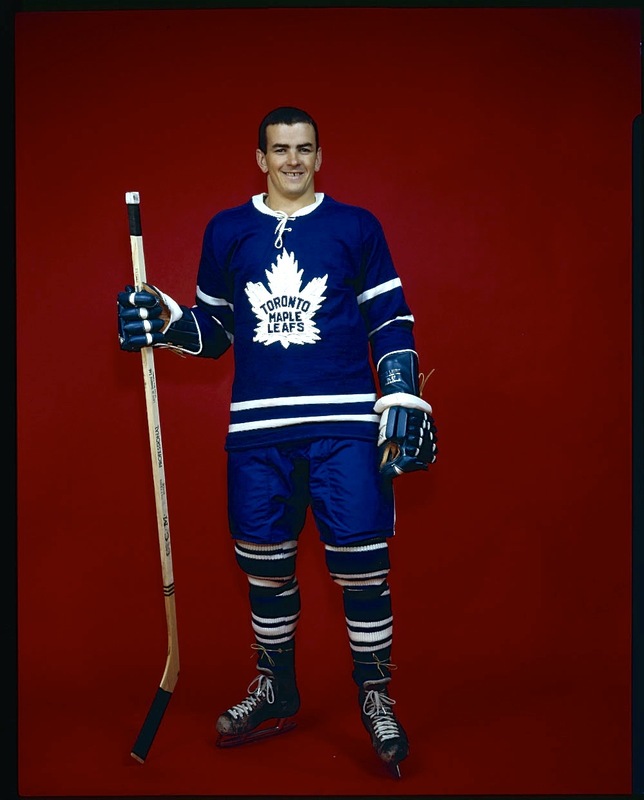 To sum up: at an NHL game in 1962, two-and-a-half months before Toronto won the Stanley Cup, a small bomb exploded near Bobby Baun at one end of the Leafs’ bench, briefly blinding the defenceman and linesman Matt Pavelich, too. 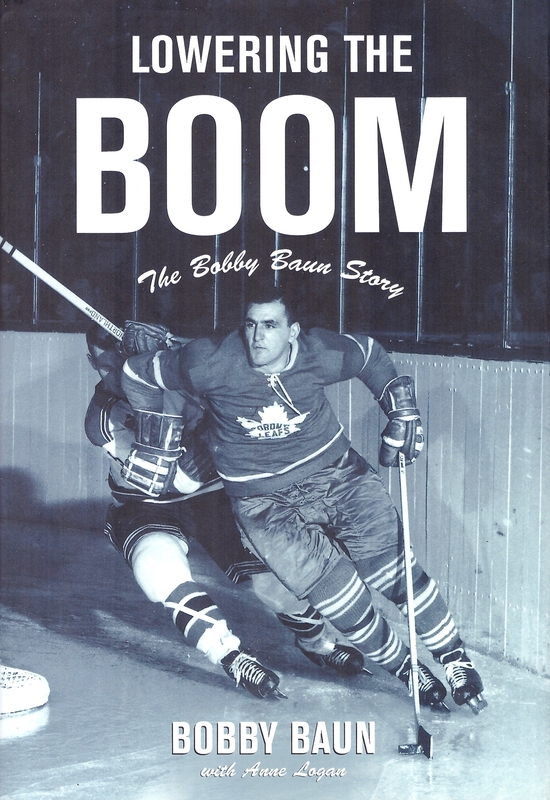 Despite its title, Bobby Baun’s 2000 autobiography doesn’t mention the 1962 incident. That first report allowed that it might have been a “giant firecracker,” but Toronto police detectives would subsequently classify the device as a “homemade bomb.” No-one, apparently, saw who tossed it, and the police investigation doesn’t seem to have turned up a perpetrator. From what I can see, all trace of the incident disappeared from the papers within the week. File it away, I guess, as an unsolved mystery whose consequences could have been much more serious than they were. There were holes in his sweater from wrist to elbow on the right sleeve and the front of the sweater was seared. There also were powder marks on his clothing as well as on Baun’s glove, which he had raised to his face automatically when he heard the blast. Pavelich first clutched at his arm, then held a hand over his eyes. The game went ahead. I can’t tell you much about how jarred Pavelich was, or whether Baun’s play showed any shell-shock. The latter, just back in the line-up after a wrist injury, seems to have played as Toronto’s fifth defenceman, spelling Al Arbour. He took a second-period penalty, two minutes for interference. Evidence of the blast did eventually go to laboratory used by Ontario’s Attorney-General: scrapings from the ice, a towel Pavelich used to wipe his face, his sweater, Baun’s glove. No trace of the device itself was discovered. Globe columnist Jim Vipond couldn’t understand how the bomber could have gone undetected by his neighbours in the stands. He urged anyone who knew anything to speak up. No-one seems to have come forward, though. The lab analysis didn’t reveal anything, either. The Leafs did step up security for their next home game, against the Boston Bruins. Private detectives and extra police were on duty at the Gardens that night. And this time, too, when the band played the anthem, the lights weren’t dimmed quite so low. 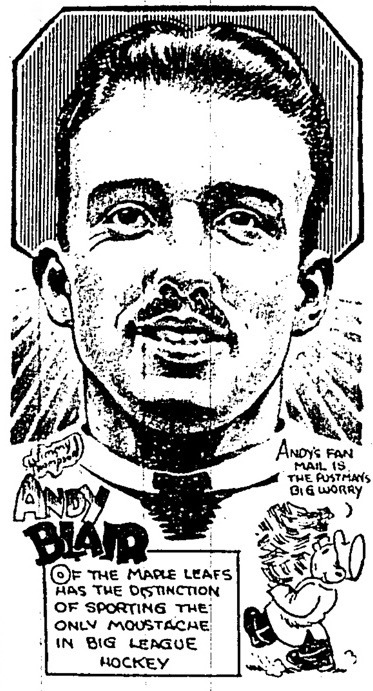 Aftermath: In the week after a bomb exploded at Maple Leaf Gardens this month in 1962, a Toronto cartoonist picked up on the news. 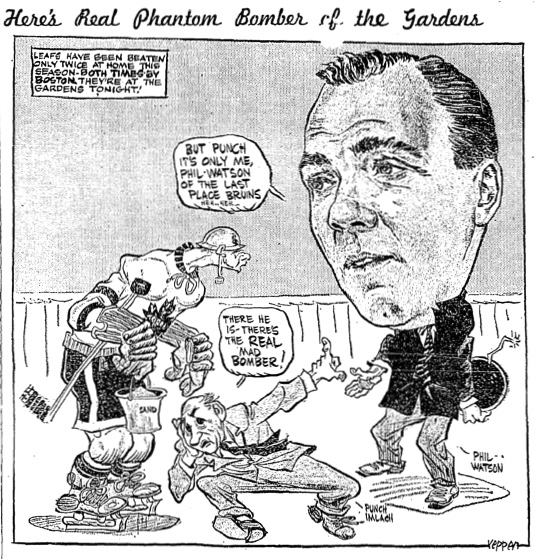 Clarence Campbell was in the house: he declared the game a “pretty good show.” If that sounds a little lukewarm, well, maybe we’ll presume that the NHL president was doing his best to spare the feelings of the Chicago Black Hawks, losers on the day to the hometown New York Rangers by a score of 4-1. Montreal’s Canadiens were traditionally at home on Saturdays, but they would take one network turn south of the border in Boston. 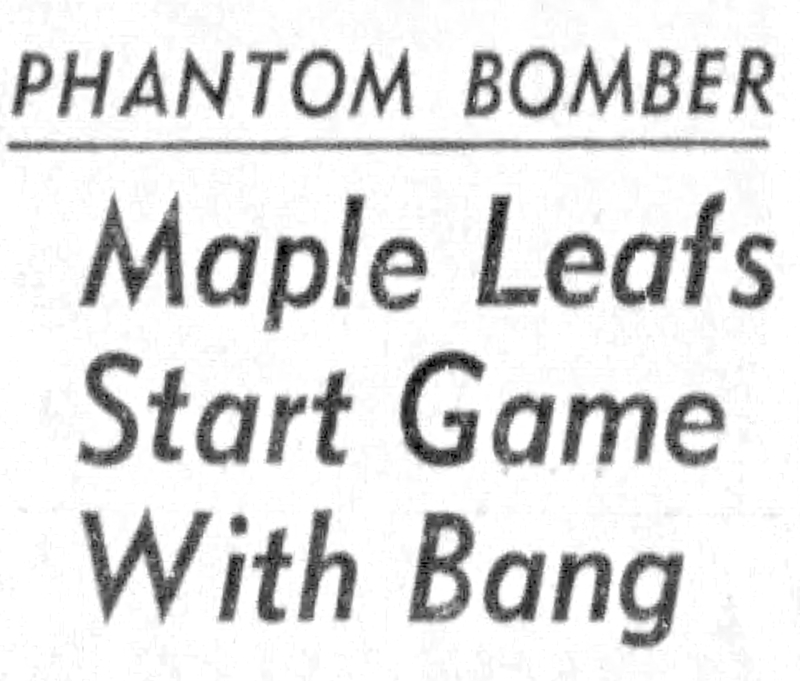 “Some one will have to tell the TV watchers that it is a six-team league,” Marshall Dann quipped — the Toronto Maple Leafs figured not at all in that season’s broadcast schedule. A crowd of 9,853 watched the game live at the Garden. The New York Times’ Joseph Nichols wasn’t as generous as Campbell in his review: he remarked on its lack of speed, action, and heavy bodychecking. 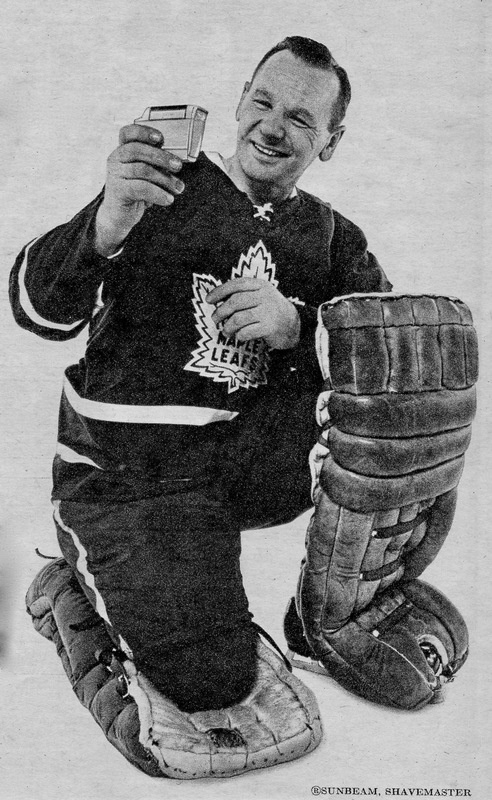 Al Rollins was in goal for Chicago, Gump Worsley for the Rangers. 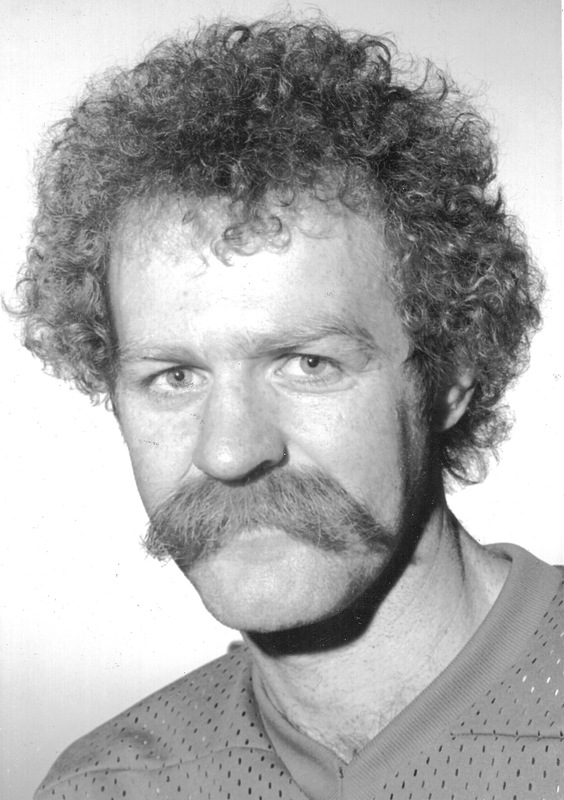 Andy Bathgate opened the scoring for New York with a shorthanded goal. If the second period was dull, Nichols thought he knew the reason: maybe “the skaters were self-conscious because of the television cameras.” (Did they not know about them for the game’s first 20 minutes?) Larry Popein did increase the Rangers’ tally* before the final period came around and the teams relaxed: they were “a little more sprightly,” at least, in the third. The period opened with a goal by Chicago’s Glen Skov before Bruce Cline and Danny Lewicki added to New York’s count. For the play-by-play, the NHL had angled for Foster Hewitt or (as Milt Dunnell said) a reasonable facsimile thereof. CBS went instead with Bud Palmer, the former New York Knicks’ star who’d moved over to microphones once his basketball career ended. Between periods, Campbell stopped by to chat. The entertainment also included introduction of hockey’s rules and a chalk talk from Rangers’ GM Muzz Patrick. The following week, the Rangers starred again, beating Detroit 5-4 at the Olympia. That week’s intermission distractions for those watching at home featured a pre-recorded segment with Gordie Howe showing viewers how he shot the puck, and a visit to the Red Wings’ dressing room. George Puscas from the Free Press reported that at the end of the first period, the players, having trooped off the ice, were paused in the corridor for fully two minutes while CBS aired a commercial. They had to wait, for the script called for the camera to catch them as they entered the locker room chanting how nice they were going out there. Then, too, things had to be tidied up a bit. Some of the players had hung their underwear on hooks. So their dress slacks were hung on top of the underwear. It was pretty tame — frankly, it was pretty dull — but that’s the way locker rooms are when you breeze away to a 2-0 lead. 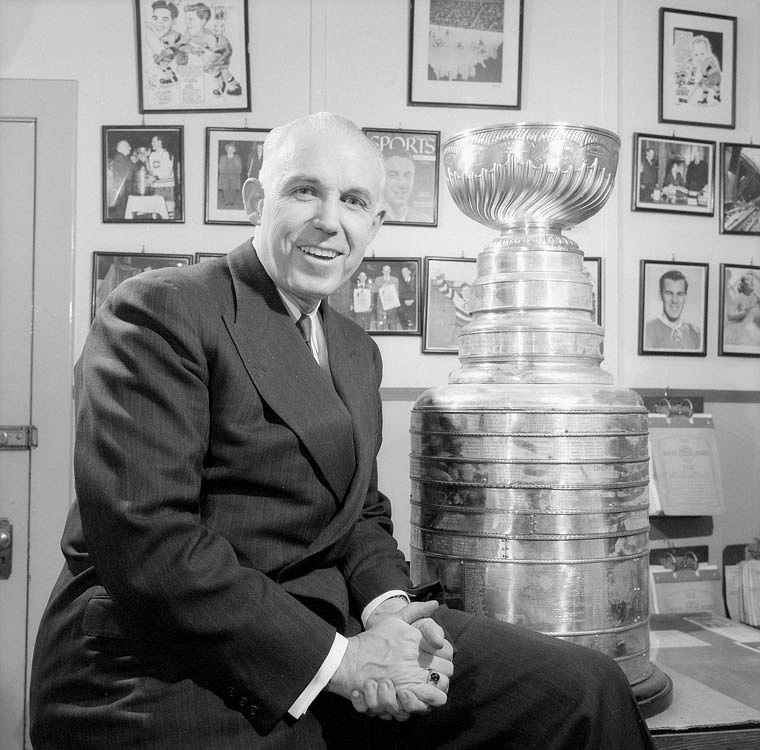 Showman: NHL President Clarence Campbell and friend, in 1957. Another production note of interest from that first foray onto American airwaves: Campbell apparently instructed the production crew that if a fight broke out on the ice, the cameras shouldn’t shy away. This was “a healthy switch,” one commentator felt, from the pro football playbook. A few weeks earlier, NFL commissioner Bert Bell had explained why he mandated that broadcasters of games from his league should turn their cameras away from the unpleasantness of fights and on-field injuries. There was no blood-letting to shock the millions of new shinny lookers who doubtless had been told that hockey is a tong war which takes place on the ice. The closest thing to head-whacking was a minor flare-up involving Harry Howell and Gerry Foley of the home side, and Glen Skov of the harried Hawks. Fox was working as he watched, actually. A sports reporter for The New Orleans Item-Tribune, he was one of several correspondents across the nation whose assignment for the afternoon was to watch both TV hockey and those who were watching TV hockey and report on it for Sunday’s paper. “Ice hockey is more exciting than any other sport I’ve ever witnessed,” was Fox’s verdict. In Miami, Herald reporter Luther Evans stopped by at several local bars where the game was showing to poll the clientele. * Contemporary newspaper summaries of the game all put Larry Popein’s goal at 14.54 of the second period. In his New York Times account, Joseph Nichols’ note about how dull that middle frame continues: “The highlight of the session was the goal scored by Popein at 14.54, with the help of Bathgate and Harry Howell.” That’s not what the NHL says, though: at NHL.com, the summary has the goal in the first period. After several years of collating, checking, and inputting, official summaries of the league’s 100 years of regular-season games went online back in October. No game-sheets survive from the NHL’s inaugural season in 1917-18, but otherwise the league has the originals on file. A tiny discrepancy, of the minorest possible clerical importance if any at all? Sounds like it needs pursuing. Stay tuned. Say whatever you want about the late, great, exceedingly affable Toronto Maple Leaf goaltender Johnny Bower, who died a week ago at the age of 93, but say this, too: he was an extremely speedy shaver. This is going back ages, to those ancient times when the Leafs still reigned as Stanley Cup champions. 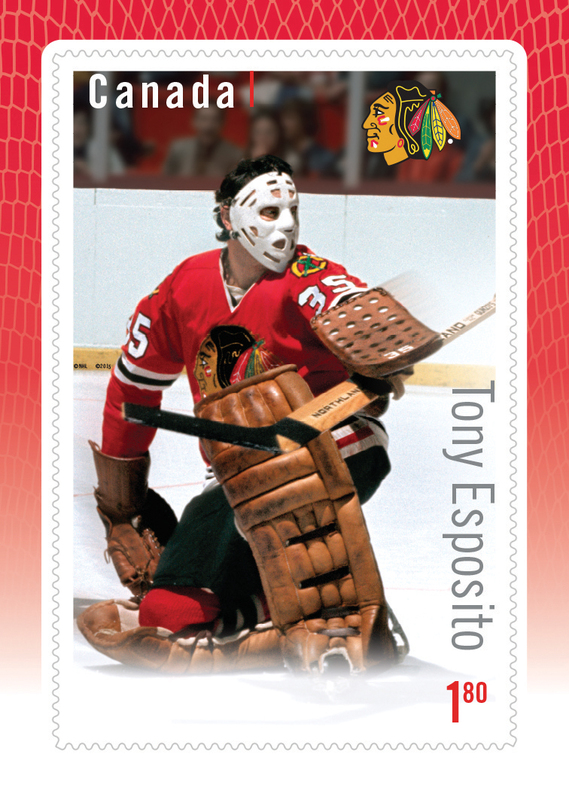 They’d triumphed in the spring of 1967, as you maybe don’t really remember, an unlikely crew of conquerors as ever there was in NHL history, anchored in goal by the elderly tandem of Bower (42 at the time) and Terry Sawchuk (37). At some point after that springtime surprise, Bower took up as spokesman for the Sunbeam Shavemaster Shaver Model 777. Maybe you’ve heard tell of this fabulous machine; possibly you had one, once, to tend your own face. Did you prize above all things getting the trimming done with maximum dispatch? Bower seems to have been so eager to prove how hasty his Shavemaster could do the job, he challenged four of his NHL compadres to a race. 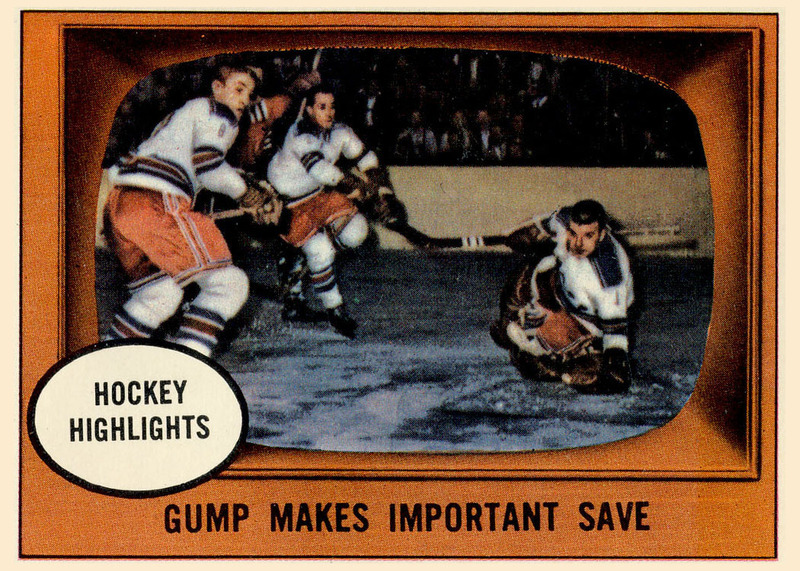 Sawchuk was there, with an electric shaver with rotary heads. Ed Giacomin of the New York Rangers brought an old analogue “band” razor. 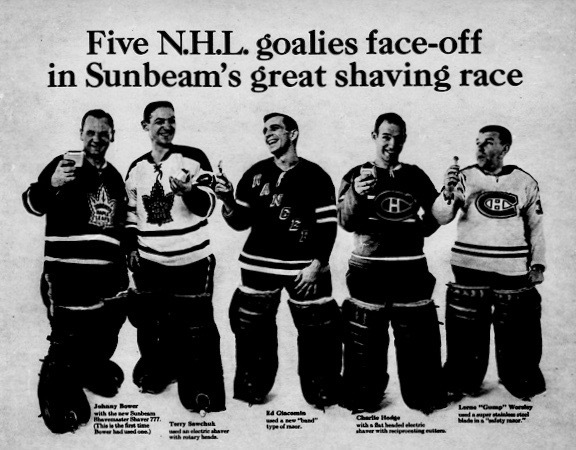 Then there were Canadiens: Charlie Hodge with (and I quote) a flat-headed electric shaver with reciprocating cutters, Gump Worsley wielding a stainless-steel blade in a safety razor. In case you thought this was an unofficial stunt, sorry, wrong, no: this was official. 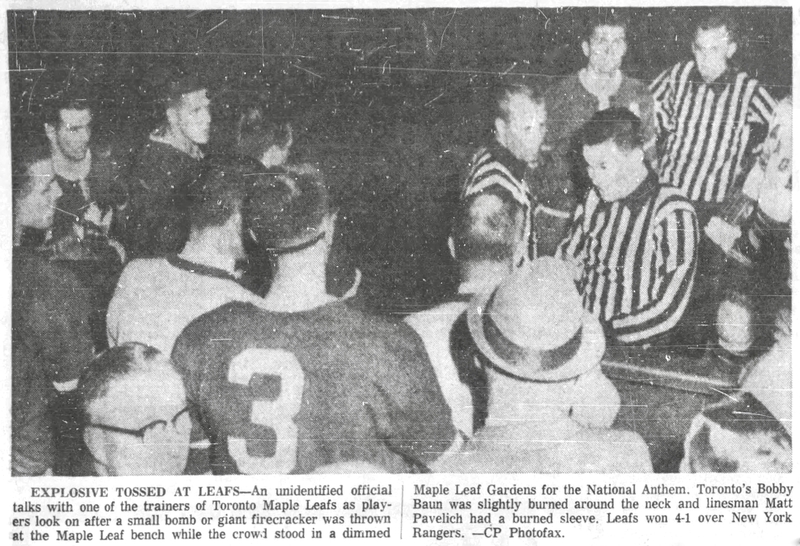 So much so that three NHL trainers were on hand to time the proceedings: Montreal’s Bob Harney, Bob Haggert from the Leafs, and Frank Paice of the Rangers. 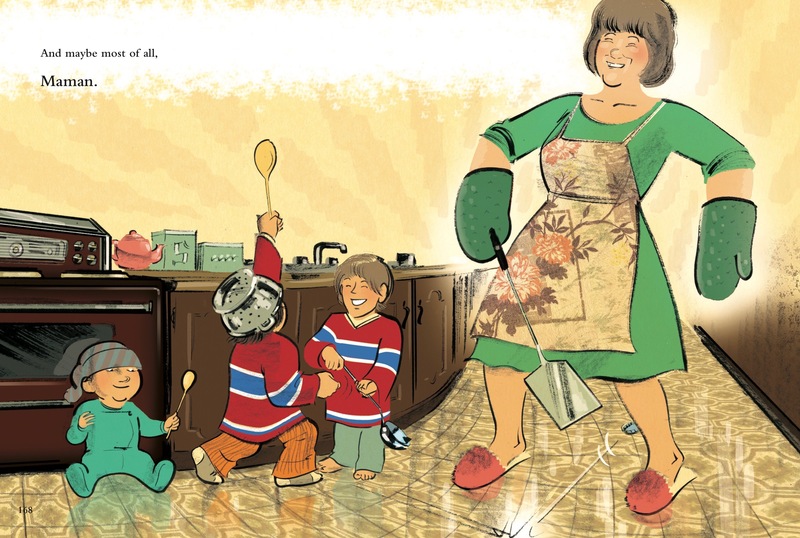 Dave Stubbs tells this story: as a nine-year-old in 1967 in Pointe-Claire, Quebec, he went to bed before the end of the hockey game filling the family TV. Don’t worry, his father told him, we’ll watch the next one. It was Stubbs’ birthday next day, and when he woke up in the morning the news could hardly have been crueller: the Toronto Maple Leafs had beaten his cherished Montreal Canadiens to win the Stanley Cup. For his deep knowledge of hockey history and his skill as a storyteller, for his contacts, his curiosity, and his respect for the people who live their lives in and around the rink, Stubbs has long been a must-read chronicler of the game. If somehow you haven’t found him already, do that at NHL.com and on Twitter @Dave_Stubbs. Last week, writer Kirstie McLellan Day launched Puckstruck’s ongoing series of recollections of first encounters with NHL hockey — that’s here. Today, Dave Stubbs takes a turn. It was the brilliant white of the Montreal Forum ice and the clean, bright boards that took this 10-year-old’s breath away. That, and the noise of the crowd and the smell of the hot dogs, whose legendary status — the dogs, I mean — I would learn of in the decades to come. I had followed my beloved hometown Montreal Canadiens on Hockey Night in Canada and in the stories I read and clipped from the daily Montreal Gazette and Montreal Star, The Hockey News once a week and the monthly magazines on which I invested my allowance. 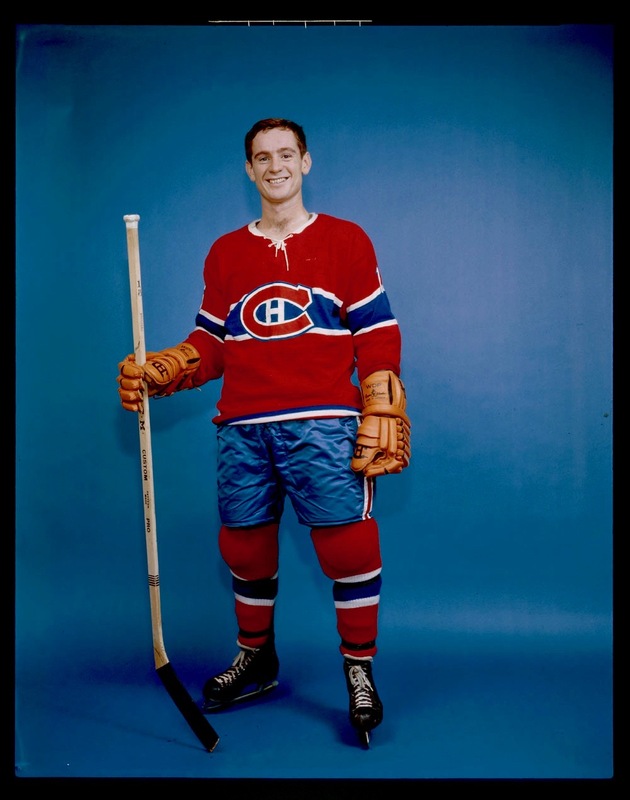 But until December 20, 1967, when my dad scored a pair of coveted Forum reds between the blue line and the net the Canadiens would attack for two periods, I had never seen the team in person. As luck, or fate, would have it, the Toronto Maple Leafs were the opponent that school night. The same Maple Leafs who had beaten my Canadiens on the eve of my 10th birthday to win the 1967 Stanley Cup. I was filled with excitement and dread on our drive to the Forum, overwhelmed by the anticipation of seeing my first live NHL game, terrified that the Leafs might beat my Habs before my eyes. And I had two hot dogs. “Tell your mother you had one,” my father counselled me on the drive home. I barely slept that night, stirred more by nerves than nitrates, and as I lay restlessly in bed, I remembered that a few months earlier I had said I hoped the Leafs would never win another Stanley Cup for having ruined my 10th birthday. The Canadiens won the Cup in 1968 and 1969, and eight more times since then. The Maple Leafs? Call it karma.